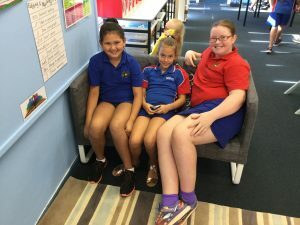 Mrs Cannon enjoyed a trip to KMart & IKEA and came back with some new items for our classroom…they were hot property for the first week or so they were introduced! 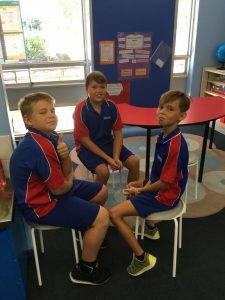 The stools for our Guided Reading table are getting the thumbs up from Alex, Keanu & Koby. Lehyia, Chloe & Ariel hanging out on the couch. 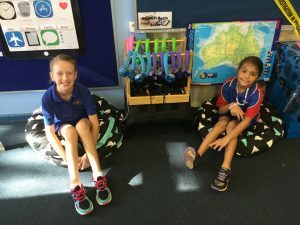 Justice & Orlanda checking out the new floor cushions for the Listening Centre. This entry was posted in Uncategorized by perenjori. Bookmark the permalink.